The Yelloh! 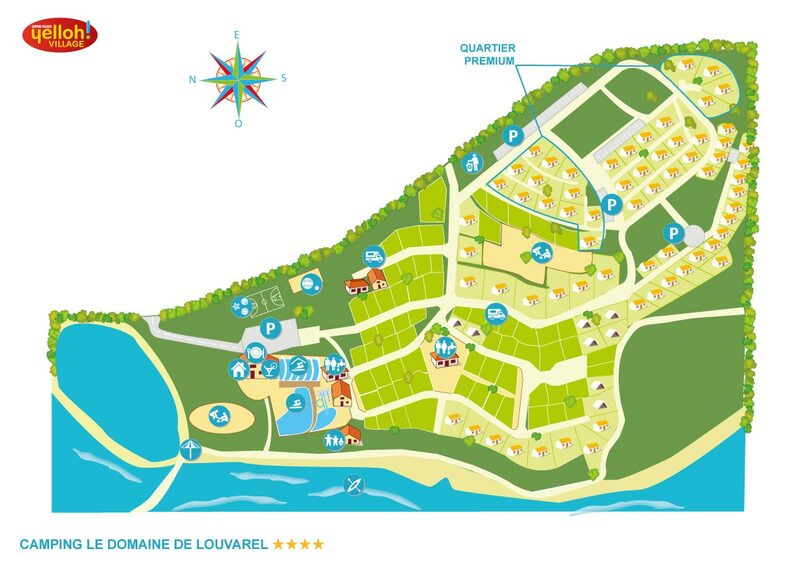 Village Le Domaine de Louvarel will be perfect for a bit of fresh air and greenery therapy! Directly from the campsite, you'll find hiking routes to enjoy on foot or by bike. The landscapes of Burgundy are just waiting to be discovered at your own pace! And if you'd rather stay in the campsite, you can always take the countryside path that goes around the lake, and maybe also stop off and catch some fish for supper! Finally, speed freaks will be kept happy with the Bresse racetrack, just 9 km from the campsite: perfect for motorcycle, car and go-karting fans! There are just so many ways of discovering Burgundy! By bike on the routes of the Roche du Solutré, on foot, through the little alleyways of Mâcon and Louhans, or in a restaurant, with a plate of Bresse chicken or Epoisses cheese in front of you! Make the most of your campsite stay by visiting some of Burgundy's heritage highlights, including Cluny Abbey, the Château de Brancion, the Hospices de Beaune and the royal monastery of Brou, just 30 km from the campsite. You could also enjoy a little getaway to the Jura, and see its lovely waterfalls and lakes!